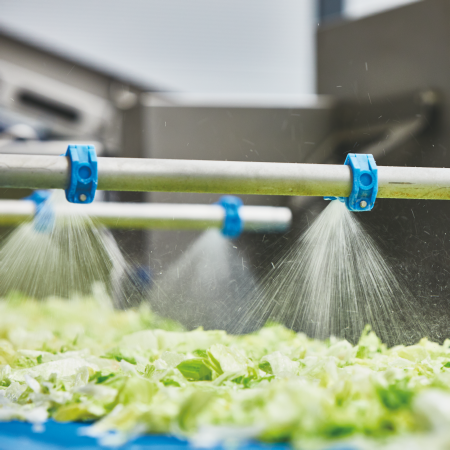 FUNCTION & DESCRIPTION:The salad products are supplied particularly gently by means of a water flume (ideal for broad-leaf products and baby leaf). An ingenious and oriented water supply directly through the easy-cleanable piping does not require any settings. Thanks to this technically innovative combination, the product is extremely gently rotated and optimum distribution is achieved over the entire wash tank volume. The economic tank design in combination with the innovative water circulation offers a great hygiene advantage – the reduction of biofilms.